The patchwork quilt for my dad is finally finished. Yay! I took advantage of the long weekend and instead going shopping I stayed home and played with some fabrics and my sewing machine. 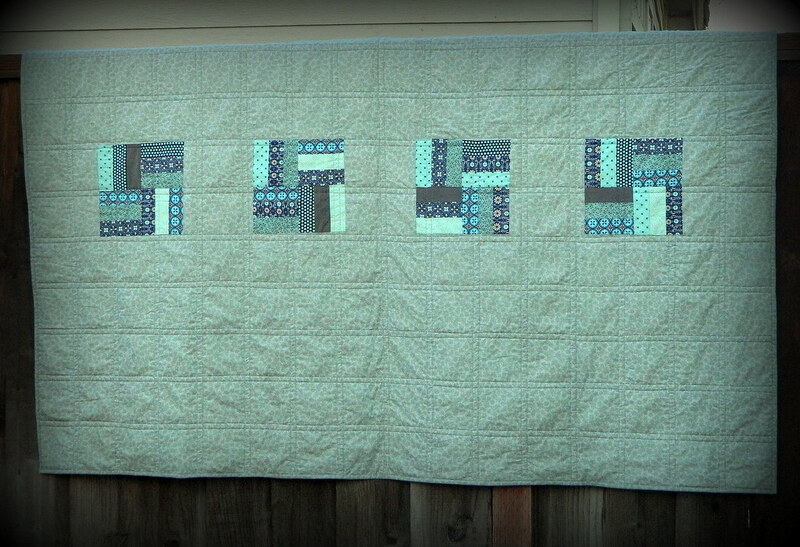 I had finished the quilt last week. But I still needed to do the binding. So on Friday I cuddled up in front of the TV, did some hand stitching and watched a few old movies. 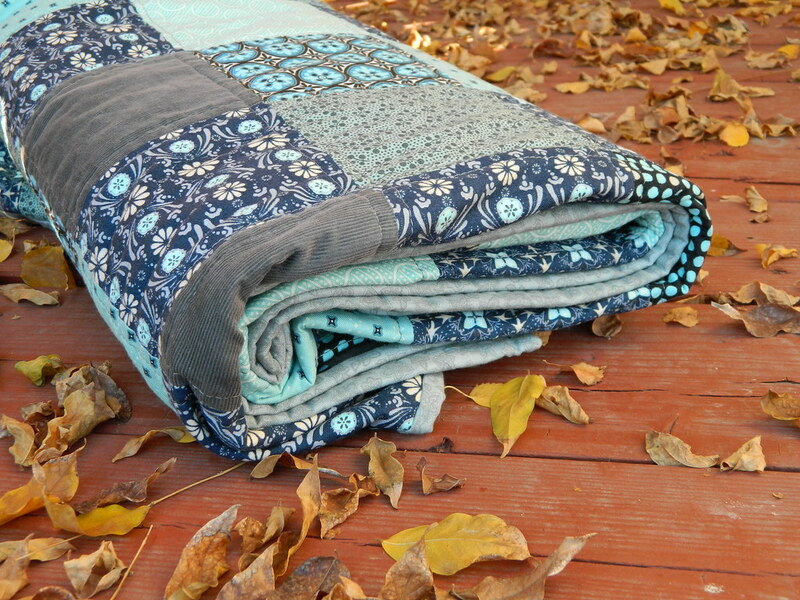 The quilt measures approximately 72X54 inches; perfect for a lap quilt. 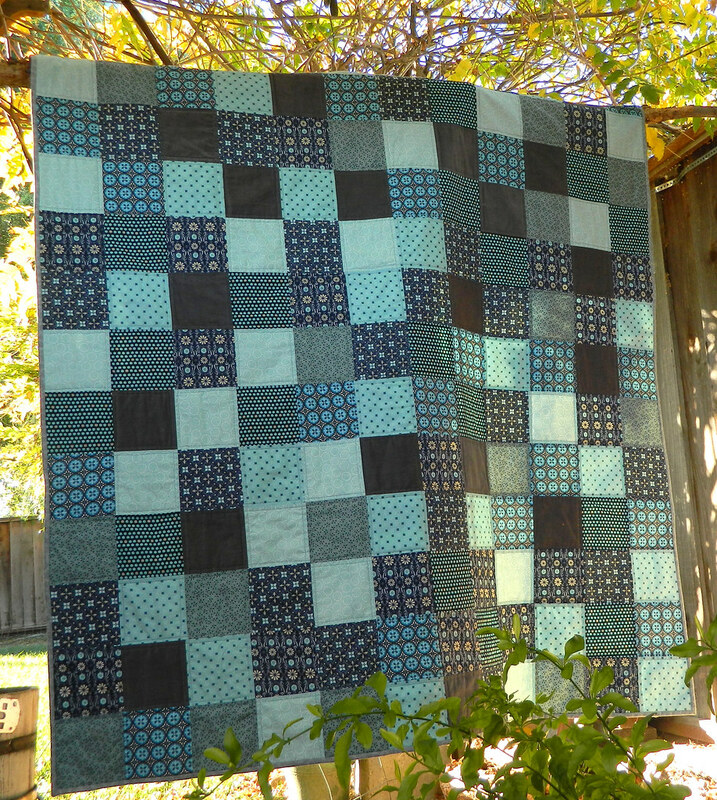 The quilt is now washed, wrapped and waiting for Christmas to arrive so it can go to its new home.